“Girl with Basket of Fruit” to powrót do bardziej brutalnych brzmień w porównaniu do poprzednika, czyli “Forget” z 2017 roku. Płyta przepełniona jest napięciem, smutkiem i gniewem – uczuciami, które przeniknęły na stałe w życie mas w ostatnim czasie. Także I na tej płycie pojawiają się goście: Eugene Robinson (Oxbow), Devin Hoff oraz haitańscy perkusiści Emmanuel Obi i Ayo Okafor. Xiu Xiu is the conduit for the uncompromising and unnervingly personal musical works of Los Angeles-based multi-instrumentalist Jamie Stewart, plus a roll call of collaborators both in studio and onstage.. Streaming forth a ceaseless torrent of releases, side projects, art offerings and extensive international touring since 2002, Xiu Xiu’s music has veered from damaged avant-pop to artfully orchestrated rock, squalls of black-hearted noise and most bases around and between, ever served with a bruising honesty and intensity that has ripped out the hearts of a legion of obsessive listeners. 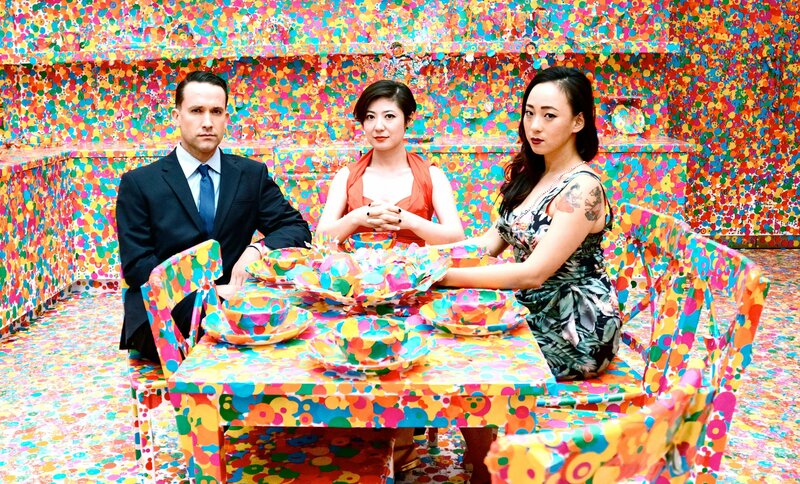 Latest Xiu Xiu album ‚Girl with Basket of Fruit’ (out Feb 2019) is a rowdier, yet more stylistically splenetic offering than 2017’s ‚Forget’, and is a record imbued with the agitation, tension, sorrow and anger that has permeated the daily lives of so many over the last few years. There’s the usual eye-catching list of collaborators, this time including Eugene Robinson (Oxbow), Devin Hoff and Haitian percussionists Emmanuel Obi and Ayo Okafor. For 2019 live operations Xiu Xiu is manifest in the form of Stewart, Thor Harris and Jordan Gieger (Minus Story/Shearwater).